Our original purpose in putting these types of safaris together was to show some appreciation to these who have sacrificed so much for all of us. We hope to show appreciation and here in the mountains, let them reconnect with the Good Lord, Jesus. These young men have all overcome some major challenges in their lives. As Christians, we know that the purpose of life on this earth is to prepare us, to mold us, to make us into the people that the Good Lord has planned for us to be. 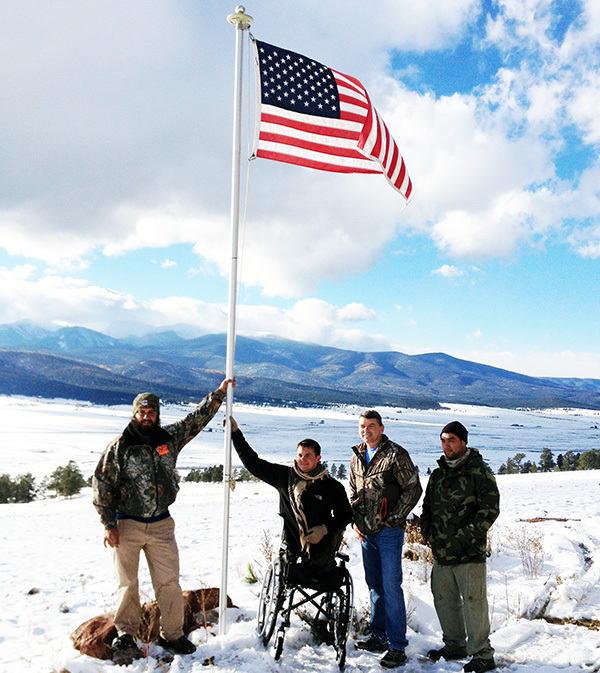 These soldiers, true wounded warriors, are men who are true American Heroes. Thank you for supporting the Staurolite Foundation general fund. Our original purpose in putting these types of hunts together was to show some appreciation to these who have sacrificed so much for all of us. We hope to show appreciation and here in the mountains, let them reconnect with the Good Lord, Jesus. Thank your for your interest in supporting our future Elk Hunts.